‘Blue Monday’ usually falls on the Monday of the last full week of January and is often said to be “to be the most depressing day of the year’. This seems like a bad rap for such a nice hue so I thought I would show some a blue and white color scheme or two (or five) that are anything but depressing. 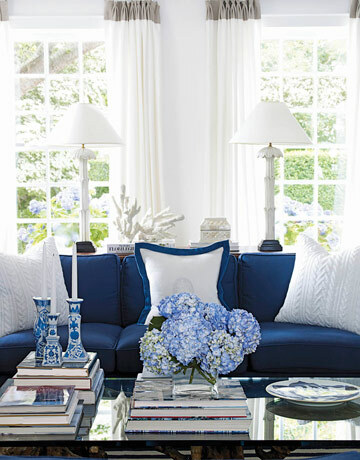 A great place to start is to look at the classic blue and white color scheme. 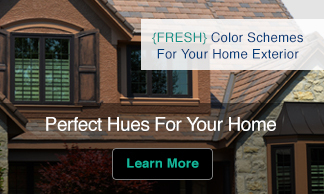 For fabulous examples of how top interior designers have used this color combination I popped over to House Beautiful and pulled many wonderful images. 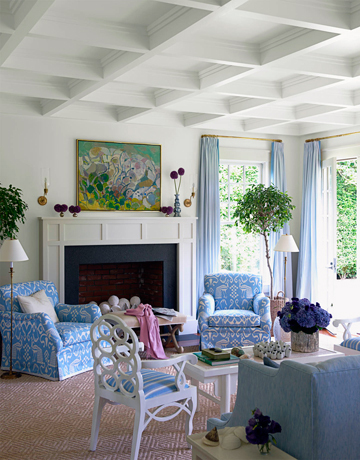 Stephen Drucker, Editor in Chief of House Beautiful magazine take on a tour of Nancy Corzine’s Cool Blue Living Room. Looking at these interiors has left me feeling anything except blue. How about you? Love the first one – Beautiful! Oh I love your shares here! Stunning! The video was just so helpful. Thank you for sharing this! They are frighteningly beautiful! 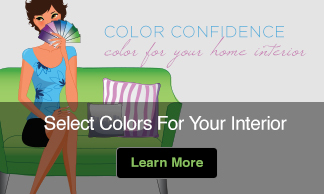 The colors and furniture goes so well. I love the feel of the last two pictures. I’m going with the “Blue” Jay – I’m a bird lover and slowly becoming a fan of blue – pretty Kate! I could be very happy in any one of those blue rooms! Who wouldn’t like any of those rooms, Kate? 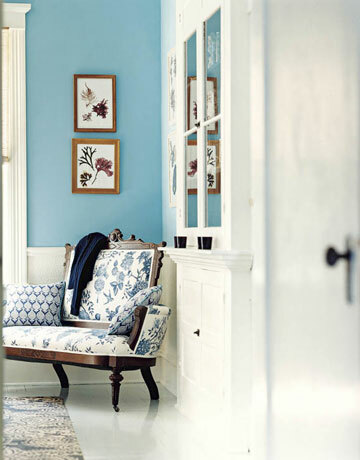 Sometimes the smallest touch of blue is just what a room needs. Happy Blue Monday. Definitely can’tgoworng with blue, they match almost everything. Really some very pretty decorated rooms. You have done an excellent job presenting us with some great ideas. Thanks you so much for your visit to my place. 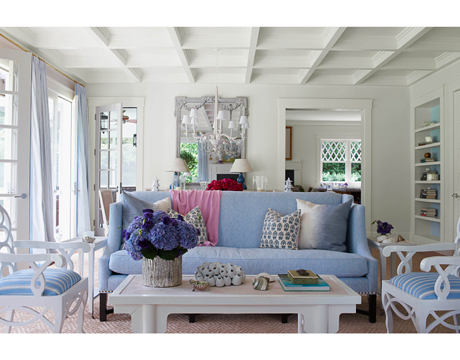 Blue is one of my favourite colours, and I think all these blue rooms are gorgeous!! Especially love the shade of blue in the last two pictures, and those white side chairs with the striped seats are FAB!!! What gorgeous rooms. They are very elegant. Thanks so much for sharing them with us. Have a great Blue Monday.